Throughout our Sustainability Series, we have covered sustainability topics in brand marketing, design, office habits, and web development. This week, I'm wrapping up this series with an important topic that offers us so much room for improvement: Packaging. As designers and marketers, packaging is an issue that we can work on directly to influence change with our clients and their customers. With all we know about the negative impacts of waste (especially the use of styrofoam), I’m appalled that in 2017, styrofoam containers are still utilized by restaurants across the country. Styrofoam is made of polystyrene, one of the most commonly used plastics in the world, and does not biodegrade for hundreds of years. In an age where 30% of our landfills are filled with styrofoam that will literally never decompose, how can we still accept this practice? It is not easy or convenient to recycle. 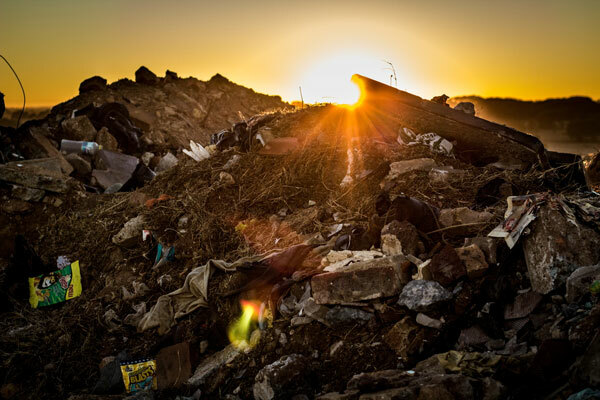 It is the fifth largest source of hazardous waste in the US. The health impact of using polystyrene is significant since it can leech into the foods and drinks served in these containers. Plus during the manufacturing process, styrene releases large amounts of ozone, causing respiratory and environmental issues. 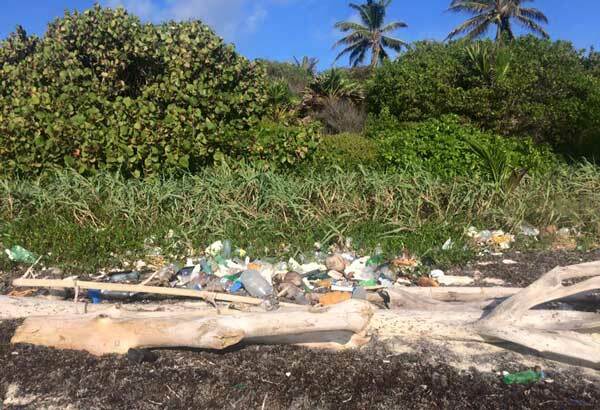 Washington University reports that styrofoam takes 500 years to decompose, so all of those foam cups dumped in landfills are there to stay—pretty much for good. We may be far from a sustainably-packaged world, or even a styrofoam-free world, but there are simple changes you can make that will make a big impact. A common site in Belize: the coastlines littered primarily with plastic packaging, which I discovered first hand on vacation last year. Live by what I call my GREEN RULE: 1. Reduce, 2. Compost, 3. Reuse, 4. Recycle! Ask for compostable containers when taking leftovers home. If unavailable, ask for recycled/recyclable take-home packaging. Better yet, bring your own. If you're working on a packaging project, whether you’re a designer, an account manager or a project manager, research options and make recommendations to your client for more sustainable options. Don't forget—the green rule still applies during your weekly grocery trips! Purchase products with minimal or no packaging first. Second, opt for products with compostable packaging. Third, choose products packaged in recycled/recyclable material if compostable packaging is unavailable. If you're unsure if a product's packaging can be recycled when purchasing (i.e. a cap on a bottle of juice), make note after you’ve opened it. If it's not recyclable, look for an alternative to that product that utilizes a more sustainable packaging option. Let your voice be heard! Talk to businesses you frequent about switching to sustainable options. Better yet, research it for them. Not sure where to start your research? Here’s a good option. 6. BE EASY ON YOURSELF & USE REMINDERS. Add a reminder note on your grocery app to follow the GREEN RULE while shopping. Keep reusable containers and tote bags in your car so they’re handy when you go out to eat or to the grocery store. Make it a goal to ask one business a month about switching to sustainable packaging options. I challenge us all to step up and take responsibility on transforming our packaging choices. If each of us made an effort on the next packaging project that comes across our desk, we would start to move the needle. Some of you may know I’m a big animal advocate, and one of the things that I have worked on for the past 15 years is getting the circus out of GR. Well, that work, combined with that of hundreds of thousands of activists across the nation had a huge victory when Ringling announced the closing of its traveling circus this past December. Moral of the story: change can and will happen. How can you effect change? 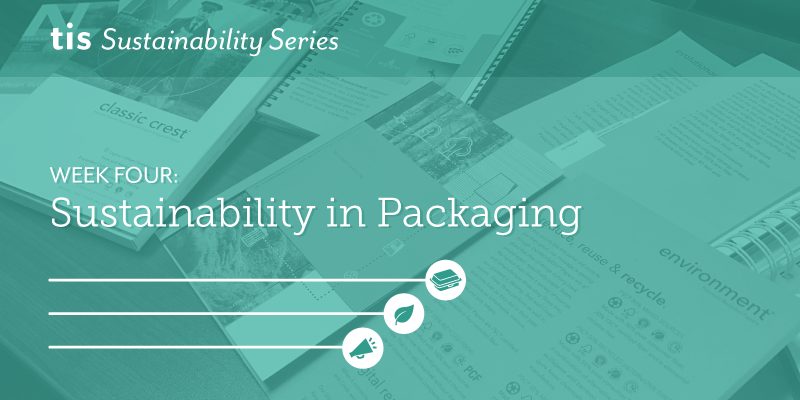 Simple: advocate for, source, and design sustainable packaging. It’s really that simple. Use your power to propose better solutions to your clients.